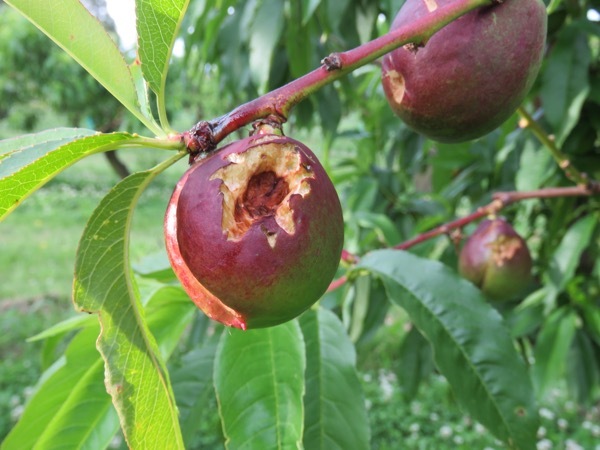 The recent ‘unkind’ weather has wiped out our Early Cherries but the early “Liseta” spuds enjoyed the extra rain and are looking and tasting great so as from tomorrow the Fruit Stall is open for the Season and they will be on the Stall in 2kg boxes @ $5-00 a box. Remember our hours are… 7am – 9pm, 7 days a week from tomorrow until June. 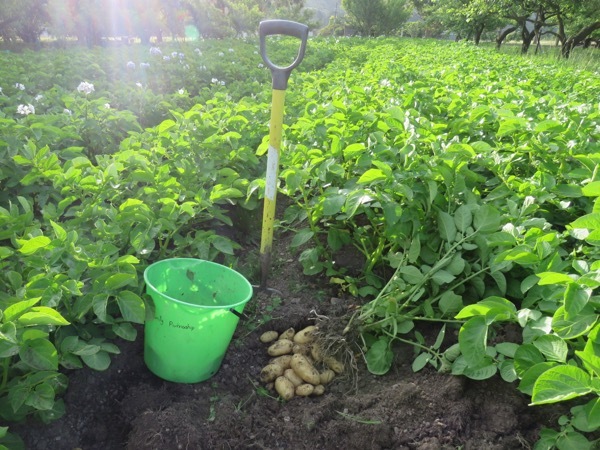 The Stall will be stocked with freshly dug spuds each day but if you have a large order then you can txt or ring Ruby on 027 288 6090 the day before or give her a couple of hours notice and she will have them ready for you. The Dawson cherries are looking good on the trees. Big Bertha and our protective netting are keeping the birds off them. They should be ready in the week building up to Xmas. 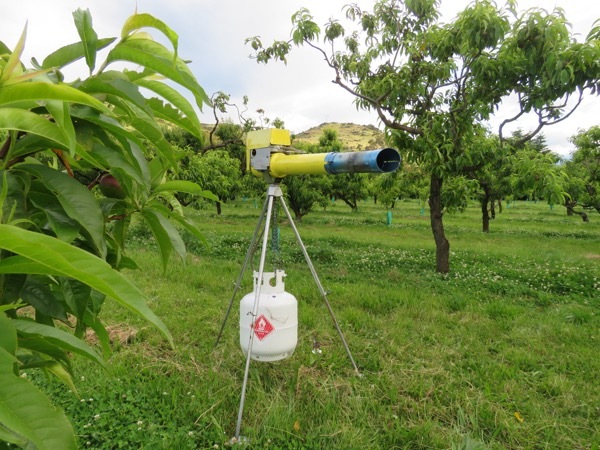 The ‘cheeky’ Blackbirds and Starlings have now started pecking the Nectarine crop so we were forced to purchase another Bird Scarer so as to scare the little blighters away.